You can all feel free to continue the discussion in the last post, but for those of us who are just done with that, please post your match comments here. my stream maybe not quite clear, but is that Tata with new haircut? ah football is back ! already 2 goals up, one each for Alexis and Pedro. But our team is fun to watch..
What a beautiful pearler from Alexis! Just 4-0, it could’ve been double that. Nice to see Lexus get a hattrick – he deserved it earlier in the season when he gave the ball to Neymar. It’s also nice to see a smile on Tata’s face. It was nice indeed. It’s very rare to see him so happy. I’m glad Alexis stepped up to take it. Hopefully they will give him more chances. Xavi and Alves should take less FK’s. Bartra, apparently a thigh problem. Tata should get that cb afterall. Get it over with. The squad is lopsided. Nice victory. Not missing messi, not missing ney at all. It was just a cramp apparently, he was taken off out of precaution. Oh thanks. Aww I just want that cb signing. I dont think it’ll solve our problems. But I really dont want to hear, ‘Barca lost due to injuries’ again. Thats a bad excuse. Cesc’s through balls are unbelievable!! Unfortunately for him, he will most likely be dropped next week in favor as Iniesta-Xavi will form the CM. get a sense of humour for gods’ sake. I even included an emoticon n all to ensure I wasn’t being serious. jeez. offensive content it seems. Think it’s more that this post was explicitly generated to get away from the discussion in the previous post, so your deliberately dragging it over here wasn’t appreciated, even if it was only as a “joke”. Just so you know, I wasn’t the one who edited your comment, but I was annoyed by it. 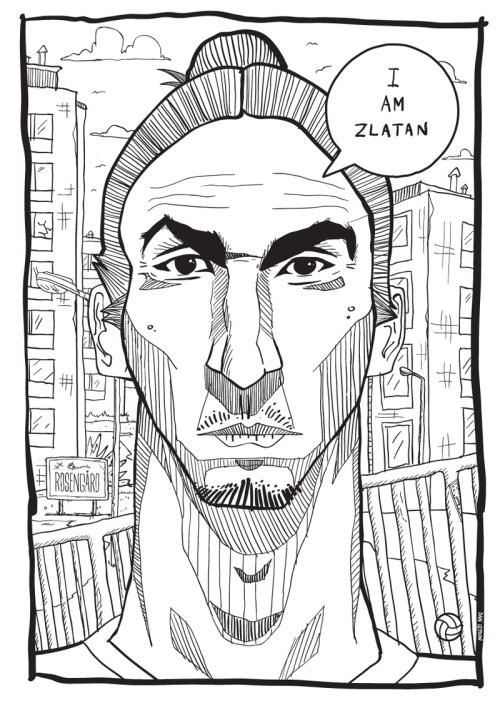 If you still have anything to say about Ibra’s comments or the larger topic of sexism in football, please do it in the previous thread. Song’s best contribution is that he made us realise how good Busi actually is. But the guy is very decent and nobody is talking about him, so I’m guessing he had a good game. About cesc – way underrated ! Song was fantastic today. He’s a great defensive mid and we’d be stupid to let him leave. I think he’s happy now, so may not be a rumour anymore. Last year there was talk of him moving. He left a couple of passes short today, but no one had 100% accuracy. It didn’t take Song to make anyone realize how good Busquets is. That isn’t logical. I get that people like to crap on Song, but it’s worth watching him play, and seeing what he does. He is a very useful player. Not sure why anyone expected him to be any more than what he is, which is a squad player. He isn’t even a DM, really. He just plays there sometimes because he is sufficiently versatile to. If I had one new year wish, reaching back to blitzen’s post, it would be that people evaluate our players for how they perform, rather than expectations with roots in other things, or narratives. Just think, if culers had their way, Sanchez would have been sold already. Song was excellent today. He definitely doesn’t keep the ball as much as Busquets does, which is why our possession stats when he plays are lower, but he does his best work off the ball, and that’s a very valuable part of his game. He was absolutely key to breaking up any semblance of attack that Elche tried to put together. He and Cesc seemed to have an especially good connection today, which I suppose isn’t surprising. Song seems to be playing with a lot more confidence as well. He has lost that air of second-guessing himself when he has to decide what to do when he has the ball. I doubt any educated football fan really thinka Cesc is underated. Superstar national player; box to box midfielder; does it all etc. Hes just overshadowed by other Barca names; but I doubt fans undervalue him. Hes our next Captain ready to go. Alexis 11 Liga goals, Pedro 11 Liga goals, Messi 8 Liga goals, Cesc 7 Liga goals, Neymar 6 Liga goals. I love the balance this team has. Messi has been hurt, so maybe Pedro & Lexus would have fewer. We’ll never know. What I do know is that Pedro & Lex are both on a mission. Their finishing has been pure class. Lexus finish on the half volley from Alba was not easy. Players often get it wrong. His concentration was fantastic! Assists: Cesc 10(league leader), Neymar 8, Messi 4, Pedro 4(not sure if they’ve included todays against Elche), Alexis 3. We had 64% possession today. 1st half was closer to 53-55%. I love our directness. I think we’ve suffored in the past at not giving the opposition possession that allows us to counter quickly. 75% possession is fantastic, unless there’s no where to pass except around the box. I love our Plan B!!! At totalbarca I´ve been arguing for a long time that Barça will become more successful if they take a step back. Everybody expects Barcelona to attack, build up slowly from the back and walk the ball in the net. Nobody expects Barcelona to let the other side do the running and the opening up – Where’s Barça style??? The directness lets the opponent intercept some passes, and that builds his confidence, Barcelona’s greatest weapon is misfiring, he opens up to build an attack, the first one is stopped, but Barcelona again misplace a pass, the second attack is stopped further upfield, but Barcelona again lose it, players get a bit upfield to help the forward momentum, then the third attack is wait how did we lose the ball and why are they counterattacking us dammit they scored?!!! In my view if you think about it, it’s logical. That discussion was in the summer, when the transfer window was still open and the wounds from the Clasicos and the Bayern episode were still raw. People were arguing that Barcelona should sign a tall imposing CF and attack even more. The predictable results would be something akin to the last twenty minutes of the UEFA Supercopa, but without the aerial presence of Bayern and with the added possibility of more and scarier counters. In essence I was saying that the power of the Barcelona attack is what makes it seem a bit inefficient: most teams know that without a concentrated defense effort that involves even the center-forwards Barcelona could destroy them in a handful of minutes. In the same context, with an aging team of conductors, Barcelona could not afford to have 3/4 of the field in which to run and pass and then try and run into a defensive wall of physically superior players who increasingly are better rested(since they don’t run as much). What is needed is more space for the attackers, more running from the opponent and less running from the midfield. In other words opponents who believe they can win and open up instead of doing a rope-a-dope. A lot depends on the opponent as well, I can’t even pretend to have the foggiest what needs to be done to win against Atletico for example – their team is motivated to such a degree and has such team spirit that they’d probably have to be defeated by pure individual brilliance or superiority. As much as I hate their dirty tactics and snarling no-quarter attitude, that motivation is admirable. This is why I don’t think we’ll see any outgoing traffic from Atletico in the january window – no player worth their salt would want to miss that. I do not hate Song at all. I like Song, Cesc, Masch – the non-spanish trio. They add different things to our squad. Physique, daintiest through balls, perfect tackles etc etc. And I’m only grateful for that. You guys think I dont know that ? Wow. That really hurt. Ha. Those were prem players, so they add different skillset to squad. Scaling them against Ini, Busi is not even a proper comparison. Interesting stat: for all of the three goals scored from open play today there were exactly six passes preceding the shot. I wondered why he was especially excited and happy(considering his usual demeanor) about his goal. It was great to see. I think it’s the 1st time I’ve seen Lex take a free kick. I can’t remember him taking any others. when Messi, Xavi and Neymar are they, they hardly let him have a chance to take them. Good one! Thanks for finding that one. Explains the immensity of Martino’s grin. Messi’s injury has been a blessing in disguise. It has brought out the best in our other forwards and hopefuly eliminated this ‘pass to messi first’ mentality from their heads. Lexus wouldn’t have had a chance to take that free kick if messi was on the field of play. Now, I hope that when messi is back, our forwards wouldn’t go back to their old habits. Heh heh! When I said on twitter a while back that Messi was the one player we could most afford to lose to injury right now, I got numerous horrified/outraged responses: “How can you even say that? He’s our best player and we neeeeed him!! !” I argued that our other forwards were in great form, and with a solid midfield we shouldn’t have much trouble adapting to his absence. And in fact it would be good for other players to forge new connections with each other. Imagine if it had been Pique or Dani Alves out for this long instead? That would have been disastrous! Things are changing for good. I do agree that the timing of Messi’s injury was just fine. He got injured in Real Betis match and we had a host of matches we could manage without him(for me all of them). Now what’s the final tally – without Messi we played Granada, Ajax, Atletic, Cartagena twice, Celtic, Villareal, Getafe and Elche. It’s because of this run of fixtures I believed he couldn’t have got injured in a better time. In the end out of these fixtures we had three tough one – Ajax(kind of tough), Atletic(traditionally tough) and Villareal(again the inform team). If I remember right we lost two of those tough three. Without Messi we made four trip away from home lost two and won two. So the idea that we weren’t hurt by his absence is illogical. We did but then the run of fixture was such a way that the harm was limited. There is no doubt that that Messi’s injury happened at the right time for us. But that doesn’t mean that he can be easily replaced just because our other forwards are in top form. If yes, then he simply is not the best player in the world. It is good that he got some time off, as he needed some time to rest and heal. In the end Messi left with us having a three point lead on top and that is not there now. Why would you assume that Messi will miss the free kick on the first place if he was available? And uhm… Does anyone know how I could register with totalbarca? I enjoyed. Thanks for sharing! It’s official: Ter Stegen will not renew. His club’s official Twitter account is saying, in so many words, that he is Barça-bound. Excellent. The best keeper choice available. Kxevin, I haven’t seen him at all. Or if I have, he hasn’t stood out to me. WHat are his qualities that make him our best option over other keepers out there? Plus the name Ter Stegen is cool. Not sure if anybody noticed this, Messi was sitting together with his team mates. Usually when he isn’t playing and is watching from the stands, he sits alone with a doctor elsewhere away from the group. But I do have to say something. Brau stopped following Messi, as he was promoted. If you have a great surgeon in your hospital, will you promote him by making him the GM/cordinator of surgeries, or would you just improve his package(like players contracts are improved). perhaps – just perhaps – Brau had also a say in this promotion. Has anyone mentioned Song just broke a record… 30 apperances now for Barca (or any club in la liga) and not experiencing a loss…that’s a record. A very cool stat, but I take all those sorts of stats with a healthy dose of skepticism. As we all know, one player, much less a squad player, doesn’t make that kind of a difference … even as the presence of Song in the midfield does make a positive difference, usually. He also did pretty well deputized into the back line, btw. I fully agree here. Not sure why AllAboutFCBarcelona called the above commenter’s supposition, or the notion that the team wasn’t hurt by the absence of Messi to be “illogical.” The counter could be that it is every bit as illogical to presume that having a bunch of world-class players standing around, passing the ball to one player and expecting him to turn the result would have made an iota of difference in those two losses. When he was gone, the club lost a garbage match (Ajax) that it really wasn’t mentally prepared to play, and a Liga match (Athletic) that even today I don’t know how they lost. The team played very well for much of the first half. To assert that Messi would have changed that result to the good is impossible to know. Slack finishing, the same thing that plagued and often doomed the club, even when Messi was present, was the same problem at Athletic. As for the Sanchez free kick statement, what the commenter posted was had Messi, Neymar, Xavi, etc been there, Sanchez almost certainly would not have been allowed to take the free kick. There is no implication there that Messi would have even taken, much less missed the free kick. The first comment wasn’t addressed at you. Was a reply to blitzen. I was specifically replying to his statement “Imagine if it had been Pique or Dani Alves out for this long instead? That would have been disastrous!”. I just was pointing out that with Messi there there was a possibility of us going into the Atletico clash with a three point lead. So technically we could have missed his presence. May be not as I do agree that we could have lost the matches but Lionel Messi traditionally had made difference in tight matches. But then the team would have equally done well had an Alves or Pique been injured. I am perfectly happy with the form and confidence shown by our forwards. I do want them to confident. But then the team would have equally done well had an Alves or Pique been injured. What I meant when I referred to these two above is that we currently lack quality replacements for them, so having either of them be out for 2 months with injury would have been a huge strain on the remaining players. We have exactly four CBs and four fullbacks (one of whom was also injured for most of that time). We have lots of forwards (and the odd midfielder) who can play in Messi’s position. That’s all.